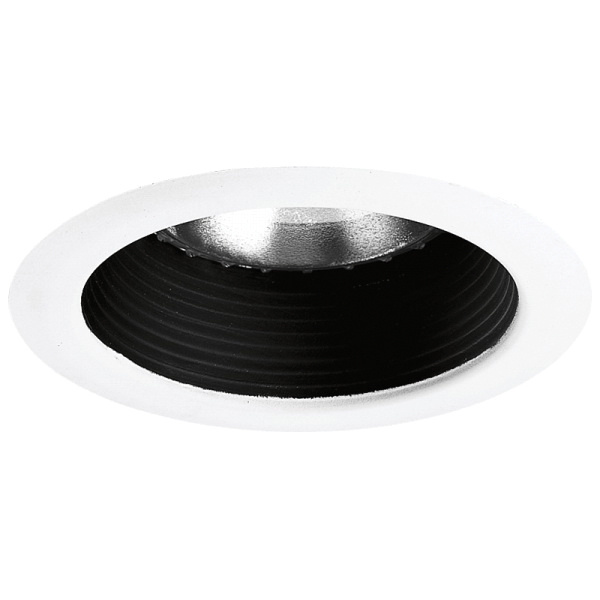 Progress Lighting Recessed shallow baffle trim in black color, features aluminum construction. It accommodates one 65-Watt BR-30 incandescent lamp. It has a dimension of 4-5/8-Inch ID x 6-1/8-Inch OD x 4-3/4-Inch x 3/16-Inch. It is ideal for insulated/non-insulated ceilings. It supports recessed mounting. Recessed shallow baffle trim is UL/cUL listed.